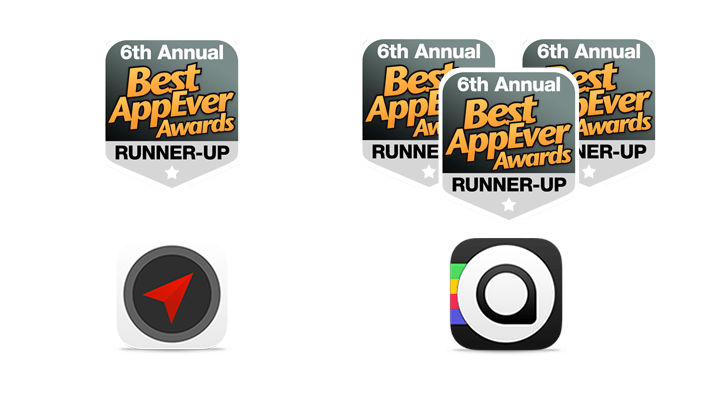 Thank you for voting for us at the Best App Ever Awards! A heartfelt Thank You to all our fans, users, customers and friends who voted for both Localscope and Phlo at the 6th Annual Best App Ever Awards! With millions of votes cast by users across the world, we are delighted to be voted Runner-Up in 4 categories from the 6 we were nominated in. Phlo has been voted the Second Best Shopping App, a close runner-up to the Amazon App. With your support, Phlo swaggered to the Third Place against some serious contenders in the Best Productivity App and the Best Reference App categories as well. Localscope too won the Third Place as the Best Location-Based App. We are not only honored, but deeply moved to be chosen as one of the best apps from over a million apps on the App Store. This recognition is great motivation for us to make our apps even better so they can take first place at the next vote!